The Legatum Institute, with the support of the Ford Foundation, hosted a conference in Tanzania with experts from academia, civil society, business and politics to discuss how to promote true prosperity. 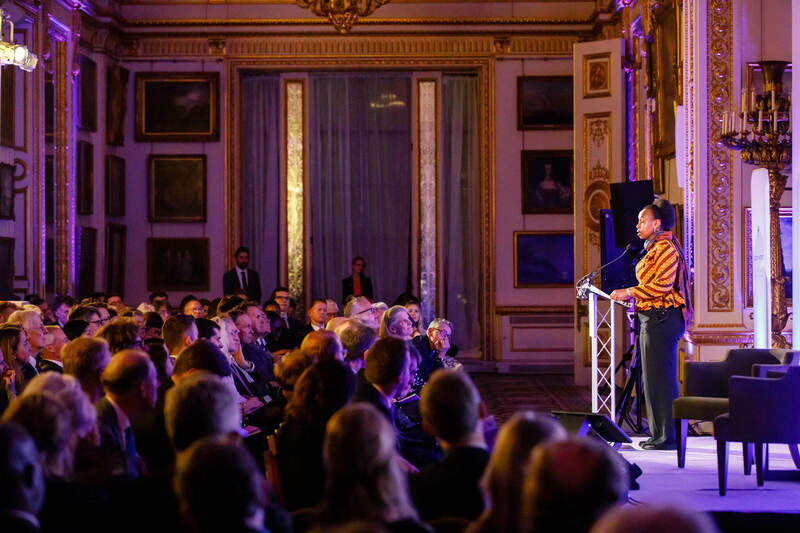 The Legatum Institute would like to thank everyone who made the 2015 Africa Prosperity Summit a great success. The Legatum Institute, with the support of the Ford Foundation, held its inaugural Africa Prosperity Summit, in Dar es Salaam, Tanzania on 20-21 May 2015. Some of today’s foremost African leaders from government, business, NGOs, as well as representatives from civil society groups from across the continent gathered at the Hyatt Regency Kilimanjaro to discuss themes ranging from female entrepreneurship, through to innovation and personal safety. Obiageli ‘Oby’ Ezekwesili, Co-Founder of Transparency International and advisor to the Nigerian government and World Bank, delivered the keynote speech, calling for a prosperity for all, not just the elites. She warned, though, that first, citizens had to be equipped with the right knowledge and skills. Following Oby, the distinguished Botswanan Ambassador, Alfred Dube, drew lessons from the success of his homeland (Botswana topped the 2014 Africa Prosperity Report). He spoke of a country which has prioritised education and adopted an open foreign policy to engage successfully with the world. January Yusuf Makamba, Deputy Minister for Communication, Science and Technology spoke of the importance of education in informing leadership. He also praised the Legatum Institute’s Prosperity Index. The Summit sought to explore ways in which data can be used to promote prosperity. This session heard expert representations from Afrobarometer, Gallup, EFInA and Ushahidi—all of whom work on the front line of producing, analysing, and presenting data across the continent. In a related session, the Summit examined how indices can be used to inform policy-making. This session included a presentation from the Legatum Institute’s Novella Bottini, one of the authors of the Institute’s global Prosperity Index. The Innovation for Prosperity session looked at how technology and innovation are not only creating new business opportunities, but revolutionising how people live. Experts from the IBM Research Africa, Dar Teknohama (the first business incubator in Tanzania), the East African Institute at Aga Khan University, the Human Development Innovation Fund, ODI, TeachFirst and Intellcap discussed how innovation and technology can transform the agricultural sector—producing attractive job opportunities for young people; improve basic services in education, health, water, sanitation, and hygiene; and promote smarter cities. Finally, the session explored how creating the right mind-set and suitable eco-system support innovation and entrepreneurship. Barbara Birungi, a young Ugandan entrepreneur, concluded the session by explaining how a simple app can improve family planning in Africa. Marieme Jamme, CEO of SpotOne Global Solutions, Cina Lawson, Minister of Post and Digital Economy, Government of Togo, and Susan Mashibe, President and CEO, VIA Aviation, participated in a session that discussed how women can succeed in innovative sectors that have been traditionally male-dominated such as ICT (information and communications technology) and aviation. The three role models echoed a key message from the 2014 Africa Prosperity Report: female entrepreneurs in emerging markets have a multiplier effect in their communities, fuelling economic growth and social progress across the continent. The Summit explored the role of business values in the pursuit of prosperity. The panel discussion drew on the experience of speakers from Microsoft, the Africa-America Institute, True 212, and REPOA. Melissa Menke added to this session by describing her experience as CEO and Founder of Access Afya, which builds, stocks, and staffs micro-clinics in the slums of Nairobi. The relationship between personal safety and prosperity was discussed on the second day of the Summit. The panel discussion explored this theme through the prism of urbanisation—both the opportunities and security challenges it presents. Broader security challenges facing the continent were discussed in a special session which followed.